Smart sensors, and smart technology as a whole, are enjoying a period of accelerated innovation and adoption. It’s my opinion that such technology could serve the UK’s commercial and residential sectors very well indeed, helping to galvanise the industry in what are uncertain times for the nation and its economy. As you all know, last week was MIPIM, in Cannes. 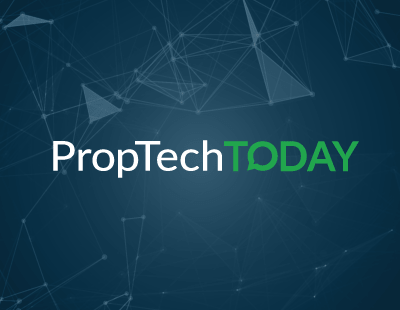 It’s always a busy, tiring week, but this year it was uplifting to see real-world proof of how much more collaboration there now is between property and PropTech. Just twelve months ago, I left MIPM a little deflated having seen property and PropTech continuing down separate roads, but this year was different. This year, disruption was the hot topic on everybody’s lips, and no longer is it being treated as a four-letter word. Disruptive Technologies - the world’s greatest smart sensors? At the centre of a great week was an excellent year for the Startup Competition. Nine companies from around the world competing for one increasingly prestigious title. This year’s winner is a company from Norway, conveniently named Disruptive Technologies. Disruptive Technologies has created some quite incredible smart sensors, as they themselves say: “a complete sensing solution for simple, scalable IoT”. The size of a postage stamp, these sensors are simply stuck onto a surface - it could be a wall, a door or such like - and, with a 15-year battery life, can gather data and monitor an infinite number of things. They can measure temperature, pressure, movement and so on. A couple of quick user-case examples: place a sensor on the underside of a bin lid, it knows when the lid is closed,and when it is being lifted. It knows that when the lid is permanently adjar, it is time for it to be emptied. If this seems a little petite of a solve, imagine it on a commercial scale. Facilities managers need to know when bins are filling up so that they can be emptied before they overflow. It also provides insight into when the bins are most used, which might help inform a more efficient collection process. Another example is toilet roll. It was years ago now, I was at one of SPD’s excellent insights evenings when someone, sadly I cannot remember who, said that, underneath everything, the most difficult part of facilities management was simply knowing when the toilet roll needs refilling. A Disruptive Technologies sensor, one which includes a tiny infrared light, can be placed in the dispenser. As the loo roll is used, it rolls round and round until the level of the paper falls below the infrared light. An alert can then be sent that the paper will soon need refilling. Sensors give buildings a heartbeat, give them the ability to tell us how they’re feeling. We know when they’re in good shape, and when they’re not they can show us where it hurts. The fact that Disruptive Technologies’ sensors are so small and simple to use means that even our oldest, most historic buildings can be made smart without the need for any structural disruption. There’s a lot of excitement around IoT at the moment. The technology coming to market is incredibly sophisticated and, more often than not, affordable. More importantly, the amount of value that can be extracted from sensors, for example, easily eclipses any initial expenditure. Such is the buzz around smart buildings at the moment that RICS this month published a report titled Big Data, Smart Cities, Intelligent Buildings - Surveying in a Digital World. In a chapter dedicated to intelligent buildings, the report offers an excellent quote, one which highlights the multi-purpose value of smart technology. Improve customer experience? Tick. Lower operational costs? Tick. Improve sustainability? Tick. Without spending substantial capital? Tick (in many cases). Sensors achieve all of this and more. Another important point is that smart sensors are the gift that keeps on giving, in both residential and commercial contexts. One installment and setup and then you’re off, for years, perhaps decades. Eventually, we’ll be so used to utilities bills being lower than ever, and sensors require such little maintenance, that we’ll end up forgetting that if it weren’t for the sensors, the bills would be higher. The most advanced aspects of smart sensors are currently giving focus to commercial property for obvious reasons around scale. But there is no doubt at all that this advancement in sensors is going to underpin the future state of the smart home, too. And for agents, that is really great news because buyers are willing to pay more for a home that comes equipped with smart technology. I carried out a survey, a little while ago now, for WhatHouse? Magazine, in which I asked estate agents various questions about smart home technology. Over 80% of them stated that smart technology helped them sell homes. What is also interesting is, of those surveyed, more than 50% of them stated that they sold houses with smart technology for a higher price than comparable properties and, in most cases, more than 5% above the standard asking prices. This is backed up in a Digital Homes Report by Barclays, which stated that, on average, people would spend £3,310 more on a home that came fully equipped with pre-installed connected technology. So it’s clear, the demand is there and smart technology adds real, tangible value to a property, be it an office or a home. Disruptive Technologies’ winning of the MIPIM Startup Competition, fending off challenges from eight incredible companies, shows how important the role of smart tech is expected to be. Not just for property professionals, owners and tenants, but for the economy as a whole. The UK is in a delicate place at the moment, and I don’t think it’s going too far to say that smart sensors could well be an important factor in maintaining an economy that is attractive to big business and investment from home and abroad. Lord knows the UK is flagging behind much of Europe in its advanced national technology adoption, it’s time to move up the table and smart technology could well take us there. *James Dearsley is a partner in PropTech Consult, digital transformation specialists for the real estate sector. 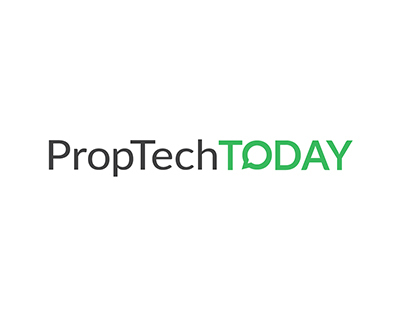 To sign up to James’ Sunday PropTech Review, click here.